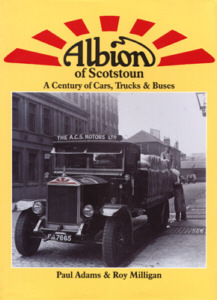 OUR BOOK - "Albion of Scotstoun"
Written by Paul Adams and Roy Milligan, this is an A4 size, hardback book which comprehensively documents the history of Albion since the company's formation in 1899. 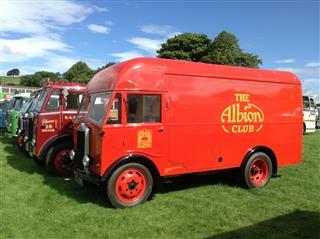 Paul Adams has been Honorary Secretary of the Albion Vehicle Preservation Trust since its formation in 1967. His interest in Albions goes back to his childhood when he travelled to school every day on Glasgow Corporation Albion Venturer double-decker buses. Roy Milligan joined Albion Motors in 1966 under their student apprenticeship scheme. He subsequently graduated with a BSc in Mechanical Engineering in 1970 and completed his apprenticeship the following year. He was retained by Albion and reached the position of Senior Industrial Engineer. Please contact us if you are interested in finding out more information on the book.